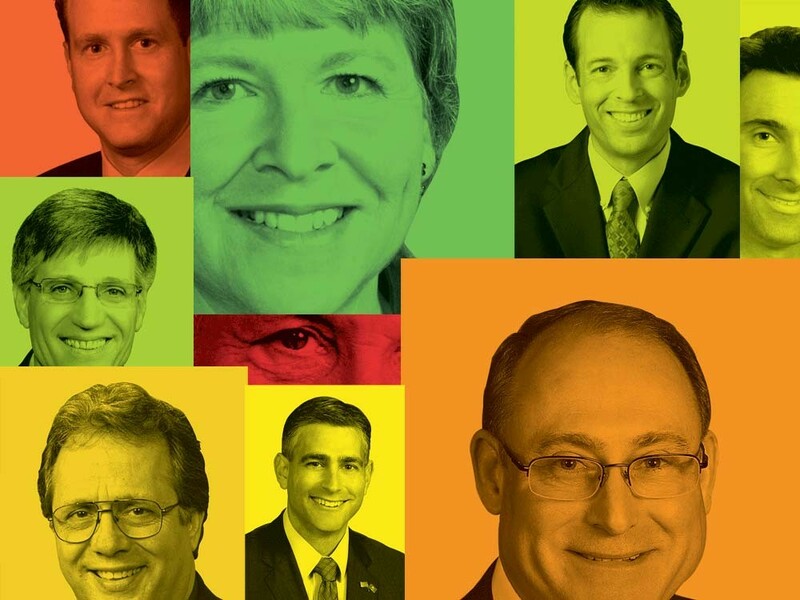 We asked 900 lobbyists what they thought of Eastern Washington’s legislators. This is what some of them said. Every now and again, The Inlander likes to traffic in anonymous gossip and opinion. This week happens to be one of those weeks. As the legislative session was wrapping up late last month, we sent surveys (online and via email) to every lobbyist registered in Washington state, asking them to rate the nine legislators in our region in terms of integrity, diligence and sway. Well, we actually did head west, near the beginning of the session. And though it would be difficult to describe everything that happens in Olympia, one thing was obvious: It’s crawling with lobbyists. There are 900 lobbyists plying the halls of Olympia, according to state records. That’s six lobbyists for every state legislator under the rotunda. But it’s not just their prolific numbers that give them insight into the ways of legislators. It’s also the nature of their work. Lobbyists come in many flavors, from business reps to environmental activists, but all have the same goal: to convince legislators of the merits (or shortcomings) of a certain piece of legislation. They stop lawmakers in the hall for a quick chat. Or they get private meetings or go to lunch or have a beer — anything to move or kill bills. Thirty-one lobbyists filled out and returned our very non-scientific survey, which was voluntary and anonymous. Judging by the answers, some were conservative and others liberal. We tried to give a fair sampling of their answers, but we leave it to you to decide. And, yeah, we noticed that the only three Democrats on our list hold the top three positions. Is it because lobbyists are progressive? Is it because the Dems are in power and lobbyists are attracted to power? Is it our fault? As for our rating scale, each lobbyist was asked to rate legislators on a scale of 1 to 10 according to integrity (honesty and moral uprightness), diligence (careful, persistent and hardworking) and sway (the ability to get things done, either through power or sheer charisma). We crunched those numbers for each lawmaker and then averaged them for an overall score. It takes Lisa Brown about 15 seconds to walk from the desk in her massive office in the northeastern corner of the Legislative Building to the floor of the Senate. No other legislator is so well-placed. We kind of expected her to place high in our survey. And she is No. 1 — scoring higher than anyone in the sway category. Since she joined the Legislature almost 20 years ago, Brown, 54, has risen through the ranks of power, first as a lowly House member, then as a senator for a decade, before she became minority leader. For the last six years, Brown has been the Senate majority leader, the first Democratic woman in Washington history to hold that position. Timm Ormsby, a chain-smoking cement mason with a ton of energy, is a true believer, lobbyists say. Which is to say he fights for what he thinks is right and doesn’t fight to be recognized for his accomplishments. Despite his position on the House’s powerful Ways and Means and Capital Budget committees, Ormsby, 51, doesn’t get a lot of credit for the bills he helps marshal through the painfully slow legislative process. For instance, he is credited in part with securing the $35 million headed to Spokane’s envisioned medical school. But no one really knows that. Another thing about Ormsby is his deep roots with labor. As a member of the Operative Plasterers and Cement Masons International Association Local 72 for more than 20 years, as well as his involvement with the Northeastern Washington-Northern Idaho Building and Construction Trades Council for more than a decade, Ormsby knows about the state of the labor movement. And though lobbyists give him high marks, their comments show wariness to his unionism. Find a picture of Andy Billig without a smile on his face. Go ahead, try it. 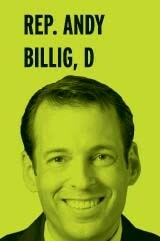 As one of the region’s two freshman legislators, Billig, 43, is too new for anyone to know much about him. But they like him. Maybe it’s Billig’s experience leading the minor-league Spokane Indians. Maybe it’s because he’s an Ironman. (Really, he completed the Coeur d’Alene Ironman triathlon in 2004.) Maybe it’s because he’s seen as hardworking, passing a law that bans phosphorus-laden fertilizer, and almost getting a bill through to close tax loopholes for out-of-state banks to fund early education. Or maybe it’s the smile. Last week, Kevin Parker introduced state Attorney General Rob McKenna to an adoring crowd in Bellevue. Moments later, McKenna announced his candidacy for governor and was immediately considered the best Republican candidate for the job in a generation. No wonder people think Parker, 37, is going places, despite having only served just a bit more than one term in the House. 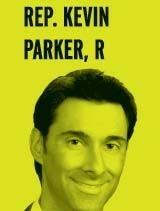 “Kevin Parker is a solid future leader for the Repubs,” says one lobbyist. Mike Baumgartner broke some hearts last year. First were the hearts in the GOP. As a child of Eastern Washington, Baumgartner, 35, was ready to come back from years abroad to start a family and make a name in politics. Word is he was courted to run for a number of positions by state party leaders but settled on the Senate seat that Republicans lost four years before. With his experience overseas, his chiseled good looks and easy demeanor, local Republicans swooned. Then he smashed the Democrats’ hearts. The man he unseated, Chris Marr, was a respected Democratic wonk with a taste for deal making. He was also a political rarity: a Dem in Republican territory. But, alas. But there is the other side. If Larry Crouse were a food item, he’d be that breadstick on the side of your plate you kind of forgot about. It’s pretty good, but it just didn’t draw much attention to itself. Spokane Valley’s nine-term representative, Larry Crouse, 66, made news this year not for anything he did, but for what he failed to do. Which was, namely, vote. Over the course of the regular and special sessions, Crouse missed 143 votes, more than any other legislator, according to the watchdog group Washington Votes. Is he lazy or what? Actually, he had back surgery and was waylaid far longer than he wanted. And he’s sorry. “Rep. Crouse is a humble man who is listened to when he speaks because he doesn’t speak just to hear his voice,” writes a lobbyist. Bob McCaslin was not only the oldest person ever to serve in the Legislature but also one of the longest-serving senators. When he retired from the Senate earlier this year, just two months before his death, the race was on to find his replacement. The man eventually chosen by Spokane County commissioners — after a rancorous, partisan debate — was Jeff Baxter, a Valley businessman better known for his behind-the-scenes work with the GOP. Baxter, 50, missed the first 36 working days of the session. Over the next three months, he played the part of senator but failed to make an impression on the lobbyists. The senator’s score in our survey showed the largest spread between integrity (second-highest Republican) and sway (second to last overall), so it’s worth considering that he could do well next session. Matt Shea is an enigma. We really don’t know much about him — except that he’s 37 — so we’ll let the lobbyists speak for themselves. Yet, somehow, Shea didn’t bottom out the list. In 2008, John Ahern lost his seat to a Democrat. In 2010, thanks in part to the Republican tide that swept the nation, he won it back. In his downtime, Ahern, 76, spun tales of a United Nations invasion of Spokane City Hall and frequented Tea Party rallies.